Did you know that physician recruitment and revenue are closely related? 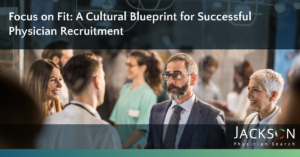 Download our presentation on how to connect physician recruitment, retention, and revenue for a full-scale review of the current physician recruitment landscape as well as a pointed direction on how to improve recruitment to improve revenue. Projected physician shortfall between 40,800 and 104,900 by 2030. Demographic trends continue to be the primary drivers of increasing demand from 2015 to 2030. Physician’s retirement decisions are projected to have the greatest impact on supply. If underserved populations had standard care utilization patterns, demand for physicians would rise substantially. Achieving population health goals will likely raise demand for physicians. Though the total pool of active primary care physicians is growing, it is not enough to keep up with demand and population growth which exceeds these numbers significantly. About 20% of Americans live in rural areas where many do not have easy access to primary care or specialist services. Only 10% of physicians practice in rural areas. From 2007 to 2015 the proportion of physicians over 55 has risen to over 43%. Be as transparent as possible regarding how the compensation formula works – salary, benefits, bonuses, incentives. Examples of popular hiring incentives are a stipend while training, student loan repayment, relocation, signing bonus, CME, paid time off, personalized incentives. To view the rest of the information about physician recruitment and revenue, click the download button. 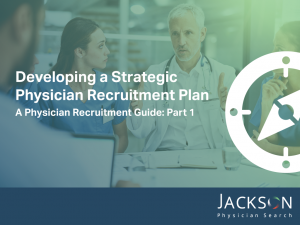 This is Part 1 of our complete Guide to Physician Recruitment. With any process, it is best to start by assessing your unique needs and developing your strategy.